A new study has estimated that around 4.1% of premises in the United Kingdom are likely to be affected by full to capacity FTTC (VDSL2) based “fibre broadband” street cabinets on Openreach’s (BT) network, which is up from 3% last year. Related premises may be unable to order the faster ISP service. Back in 2016 we ran a special article on the subject of “full” street cabinets and their impact upon consumers (here), which helped to explain why such cabinets fill up, the problems that it can cause and how long it can take to resolve via upgrades (i.e. anything from a few weeks for a simple line card change to several months or possibly longer if additional civil engineering is required). 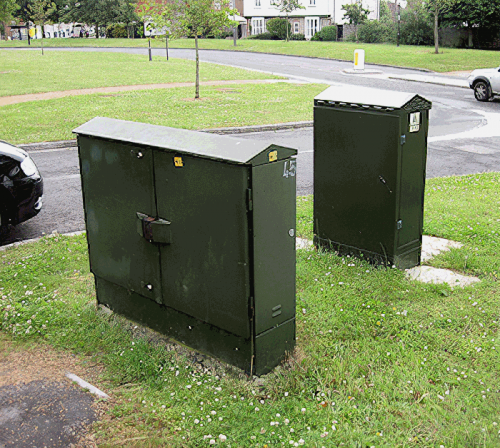 During that same year we understood that around 2,000 of the then 77,000 live VDSL2 street cabinets were full and awaiting an upgrade. As it happens we’ve recently been discussing this issue with ISPs and in March 2018 they informed us that Openreach’s official figure was around 3% for cabinets stuck on a waiting list, which seems about normal. Today Thinkbroadband has run the data (see their website for the full table) and predicted that the number of cabinets affected by this issue could be over 2,200 (the installed base will no doubt now be well over 80K). In terms of impact, around 89.6% of the UK can currently order a superfast broadband (30Mbps+) service via Openreach’s network (excluding other networks) but this coverage drops by -4.1% points due to full cabinets (-2.6% if you include all other networks). We should point out that TBB’s data only considers the impact of capacity on Openreach’s national network and not that of other platforms. Different networks handle different types of capacity issues in different ways and not all are as transparent about such issues. Unfortunately if you happen to live in such an area then this can cause a lot of frustration when attempting to order a new Fibre-to-the-Cabinet (FTTC / VDSL2) based broadband package or migrate your service, particularly if the ISP accepts the order and begins the switch only to later tell you that they cannot complete it. Openreach and ISPs have got better at reporting when cabinets are stuck in the waiting queue for new capacity but support staff don’t always correctly reflect this to new customers. On top of that there remains a lot of uncertainty over the question of how long consumers will have to wait before the issue is resolved. The new G.fast service, which works in a similar way to VDSL2 but is instead installed in special pods that sit on the side of existing PCP cabinets (these are different from the VDSL cabinets), may in the near future add another complication to these figures. “Around 97% of our cabinets are currently open to new orders and we have a dedicated team proactively monitoring take-up across all of our fibre cabinets. It’s worth pointing out that if Openreach has to build a new cabinet from scratch then that isn’t just a problem of hardware and labour cost. Complex delays can also stem from the need to seek planning permission, road access, wayleave agreements, power supply requirements and so forth. In addition, local demand is something that can go up as well as down, particularly if a rival network operator enters the area and steals away some of Openreach’s existing users. Installing more capacity than needed can carry an extra cost and so this is one of the reasons why big operators often prefer to scale as demand grows, rather than cater for 100% of lines from day one. We’ve added a comment from Openreach above. I would hope that, as far as is practicable, OR will be dealing with these issues before a cabinet actually reaches capacity. On G.Fast, in principle, it should relieve capacity constraints to some level but only if people actually move to the service and that could be more cost effective than adding another FTTC cabinet. I wonder if we will see some action to incentivise ISPs to do this. Won’t happen. It’s more likely that uptake for the G.fast products will be quite low because G.fast will mostly only make sense for areas with short lines, but for the latter sufficient speeds at a more competitive price is already available via VDSL. G.fast in its current offer and availability will only be a niche product. Unless they change the roll-out plan then 10 million premises passed is a pretty big “niche”. You seem to have wholly missed by point, that OR might choose some sort of incentivisation scheme to use G.FAST rather than VDSL to alleviate capacity. It could taking the form of special offerings in the relevant areas whereby the Wholesale cost of the base G.FAST service was made close to that of the top VDSL service. Another option would be a new, lower priced product using G.FAST with less of a premium over that of the 80/20 service. You seem to be obsessed with this idea that G.FAST is necessarily condemned to low takeup when OR have the ability to adjust the pricing models and products to suit. In this case, it’s very likely that adding a G.FAST pod is a lot cheaper than installing a whole new cabinet as it avoids major ground and power work. I don’t think that G.Fast will be a low takeup, it’s just that’s it’s been a slow process for the implementation of it (far slower than first thought when they were doing the powerpoint presentations). The announced prices for G.Fast based services seem to be on the higher side. £55/£60 is a lot for many for an upgrade they may not desperately need. Someone seems to be always peddling VDSL for £25-£30, and those who can expect top G.Fast speeds are already enjoying top VDSL speeds. Having said that, it would be premature to declare G.Fast a failure. There is no real competition yet, and competition brought VDSL prices down from the initial BT Infinity levels. It would surely be an attractive option at least for Virgin customers, who are already paying more than the discounted FTTC connection price. What is the connection speed attached to cabinet by default? Is it 1Gb/s or n*1Gb/s? And on how many users? The above problem is usually more an issue of capacity in terms of spare ports rather than bandwidth / backhaul supply. As said by Mark it’s more of a problem that there is no more physical space for more linecards and connections. However I would like to know how much bandwidth there is between the VDSL cab and the exchange. Must be over 10 gigabits per second surely. Backhaul starts off at 1Gb and is increased in 1Gb increments as required. No need for 10Gb even on a fully loaded Huawei 384. Chances are a couple of gigabit circuits are fine for a 384 line chassis for now. Can also buy 10Gbps Cablelinks but that’s more intended for things like G.fast. All the NGA network is monitored using the ICM system ( development from 21CN network) covering physical, logical, and transmission capacity management. From this it is possible to forecast additional 1G fibre capacity to meet transmissions requirements for the headend and street cabinets for transmission upgrades. Upgrading of systems line cards for headend and street cabinets capacity (with associated copper) to meet forecasted demands. As stated in the article the difficulty is the practical installation of the additional cabinets. To this end adastral strategic planners strategy is to reopen the historic secondary CP locations of a PCP as new locations for the VDSL street cabinets and G.Fast Cabinets. There is a physical and practical limit to the number and size of cabinets you can parent on the largest PCP cabinet. Where necessary ICM will advise on NGA network rebalancing between the controlling element managers to maintain operational limits as the system operationally grows. Cablelinks connect headed switches to CP networks, backhaul between headend and cabinets is handled by Openreach exclusively and the current design is gigabit links only. In Aberdeen city and shire there have been a lot of extension pods appearing on DSLAMS these last couple of months. Some cabinets are less than a year old & they are already being extended. I guess there must be a very healthy takup in the area. This is one thing I’ve seen as well. I’ve seen extension pods on the small Huawei 128 cabs as well as the bigger 288 cabs. I never knew extension pods for the 128 cabs existed until a month or so ago when I passed one. Just to let you know I took your advice yesterday and started digging my own trench for fibre. Unfortunately the local council and the police stopped me when I was only halfway across the A50. Can you let me know what you did to get across major arterial roads in your dig fibre yourself plan? Brilliant, so anyone can directional drill under public and private land. Right, I’m off to get some fibre pushed under the M6… nothing can go wrong with this plan. St Neots PE19, two cabinets in about 1 mile to each other. First is 11% and the second is 94%. The fact that 2 cabs are less than a mile apart has no relationship to how busy 1 is over another. I can see 3 cabs from my house all less than 200 metres from me yet I’m connected to a cab over 1km away, which has 3 other cabs adjacent to it. I’m confused if you’ve already got a line why do they need a spare line to transfer you to? Sorry to hear about your problems Ian it’s no use changing to bt because they own plusnet,you wouldn’t be any better off. In order for the order to fulfil, there needs to be space available within the cab, even if you already have service there. Of course for this to be a problem you need to have a cabinet in the first place. Spare a thought for we poor folks who are stuck with copper direct to the exchange. Absolutely! If my experience of getting OR to actually do anything correctly and on time is anything to go by Man will set foot on Jupiter first. It has, so far, taken me 2.5 months to get basic broadband in my new house. Nothing short of scandalous! 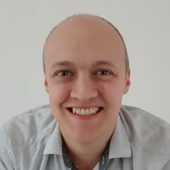 Did you try any of the other providers like VM, gigaclear, b4rn etc? @Andy, we waited over a month for a new phone line and VDSL connection, and that was just reconnecting an existing phone line and connecting up at the cabinet for FTTC, a job that took all of 15 minutes, even then they messed up the appointment times, then told ISP it was cancelled a second time, but turned up anyway at 6pm for what should have been a morning appointment. So to hear it takes 2.5 months, no surprise to many. It has, so far, taken me 2.5 months to get basic broadband in my new house. Nothing short of scandalous! I am a bt subscriber it’s the most unreliable service ive ever had the TV has so many internet glitches and always when I’m watching a football match I’m paying for a service that is less than basic,so dissapointed with the bt service and the call center I complain to about the problems I’m having it’s the same answer were having problems with a cabinet. If the BT support are saying there’s problems at the cabinet, then this is likely to be a bandwidth capacity issue. If that’s the case, BT will have access to Openreach RAG data, which advises, firstly, if there is an issue, and, secondly, when they will upgrade the bandwidth. Yes its the councils fault, and when BT have got their permission and still do not turn up it the clock fault. I’m still on ADSL where I live in Finchley because I am being told the cabinet is full and my speeds won’t change. Am about to move house where my nearest exchange is the Muswell Hill exchange and I’m not even offered fttc. These London statistics don’t tally with my experience at all, from 2 separate residential areas. The figures include cab 2 and 35 both flagged as at capacity on Finchley exchange and for FTTC 1 in 11 don’t have access across across London. The higher 96 figure is because others such Hyperoptic, Community Fibre, Virgin Media do fill in some of the gaps. Is there a way to find out how many premises a given cabinet serves? Our cabinet has been full for more than 6 months, meaning customers can’t even upgrade their current service or switch to another FTTC provider unless they wish to go back to sub 512kb connections. Recently they added a new FTTC cabinet near an existing one and added another one right next to the PCP. How many people are affected by this and for how long? If you are affected by this, you should get in touch with your local ISP. Anyway, is one VDSL line not good enough for your office anymore?